Commercial cleaning system that gives you 7 machines in 1. 1. Ultimate Pre-scrubbing agitator for before hot water extraction. 2. Adsorbent powder and encapsulation dry carpet cleaning machine. 3. Hard floor cleaning machine. 5. Area rug and wool cleaning machine. 6. Ultimate Hair removal machine. 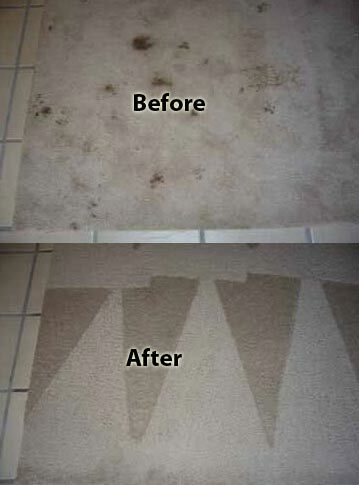 Can be used on dry, or damp floors. Ultra fast and super easy to use. 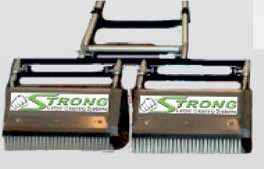 Counter rotation of brushes makes the machine glide over the carpet like a hockey puck on ice! Built for the dry cleaning industry but quickly taking over as the best prescrubbing machine on the market today. Use before you rinse with your portable or truckmounted hot water extraction machine. 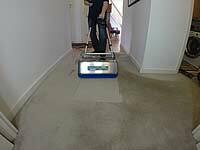 One machine can drive and clean the carpet, tile and delicate wool rugs. Cleaning capacity (carpet/hard floor encapsulation cleaning): 7500 square feet/hour/ Agitation for prescrubbing 10,000 sq ft hr. Machines have splash proof electronics and can be used in rug pits, carpets and hard floor surfaces. 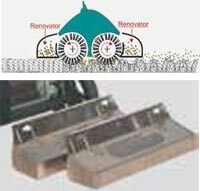 Renovator system captures dry particulate matter and debris and lifts pile while agitating. 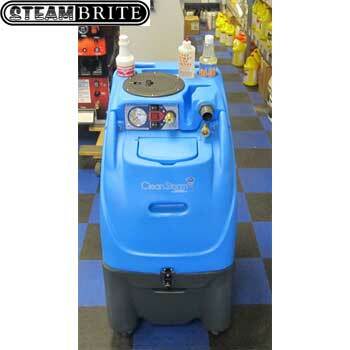 20-inch cleaning path delivers up to 5000 square feet per hour of cleaning. Connect two units for even faster cleaning! Machine is 50" with the handle parked upright inside of the transport tray. 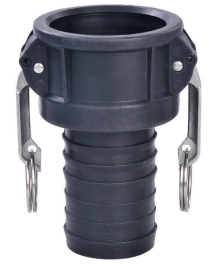 Includes snap in stainless steel dust and splash covers and renovators for dirt and adsorbent power collection. Includes: Transport and dolly tray with anti brush crushing technology. 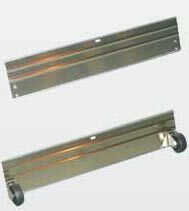 Includes: Snap in Stainless steel splash and dust cover with transport wheels. Includes: Snap in Stainless steel renovator trays with view windows. Assembled in the USA from globally sourced products. 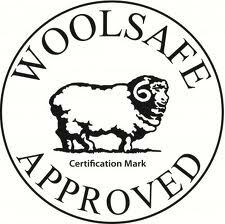 Question: Are the soft white brushes that are supplied with the machine OK to use on wool, jute, sisal, and silk rugs? Answer: The factory performed a change on brushes. 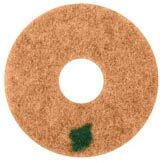 The original design was to include a white soft brush for home carpet and natural fiber area rugs. These have been changed out, by default now you receive blue brushes that are both home wall to wall carpet and will also clean commercial carpeting. The white brushes (now optional) on the TM4 and TM5 do just fine on natural fibers, however, I do try brushes on any small area of the carpet or rug prior to performing the actual cleaning job. Tandem Bar to double you speed. At the end of the day after all jobs, use a cleaner such as Mr. Clean, Windex or a possible disinfectant with a scrub brush and wipe down with box rags. Make sure the bearings on the non-gear side spin freely, the moment they begin to not spin freely; it can torque the gear side and cause the gears to break. You will need to replace the non-gear side bearings as soon as they stop spinning freely. Important to check this on a weekly basis. Cleaning of Brushes: Take a 5-gallon bucket full of hot water and place the brushes in it. It will normally turn extremely black. Empty out the 5-gallon bucket and repeat. For extreme rat nasty with some brushes, you may need to repeat this process 6-7 times. The avg. time it takes per bucket full of hot water is 45 mins. During the final soak pour a few ounces of disinfectant and let it sit for 30-60 mins. Remove from bucket, set in front of fan and let dry. Remember the brushes get full of crud, dirt and debris and that overtime you don’t get as good as a clean. As the brush spins, all the crud collects on the black tube and it collects on the bristles from the inside moving out. However, if you constantly clean the brushes at the end of the day, they stay almost brand new for an incredibly long period of time. Note: It can take up to 2 days for the dirtiest of brushes as you repeat the bucket of hot water process 6-7 times. It is recommend you do the process as much as needed until the water does not change colors. Also, if you do not properly clean after every job, the crud builds up and the gears work harder since the brush has to fight against the built up crud and this can cause the gears to break. Brush Rotation: Do not rotate the brushes from front to back. Since the brushes are soaked in hot water, it takes the memory out of that brush. However, if you use the machine for a long period of time, you will need to flip the brush but not front to back, only the other way around. It is important to remember that the brushes have a natural curve to the bristles tips and the bristles form “a memory” after constant use. You will need to rotate the brushes so the memory goes the opposite direction and begins to clean better. Note: In order to tell when this happens, pay close attention to the cleaning results. If the results become mediocre, then flip the brushes. Insert some grease between the bearing and the cover and the bearing shaft entrance every month. Every 3 months, remove the gear cover, clean the gears and re-grease with white lithium grease. Make it a habit to remove the bearing cover every month to clean it up well with W-40 and make sure to dry it with compressed air and fit the cover together again. 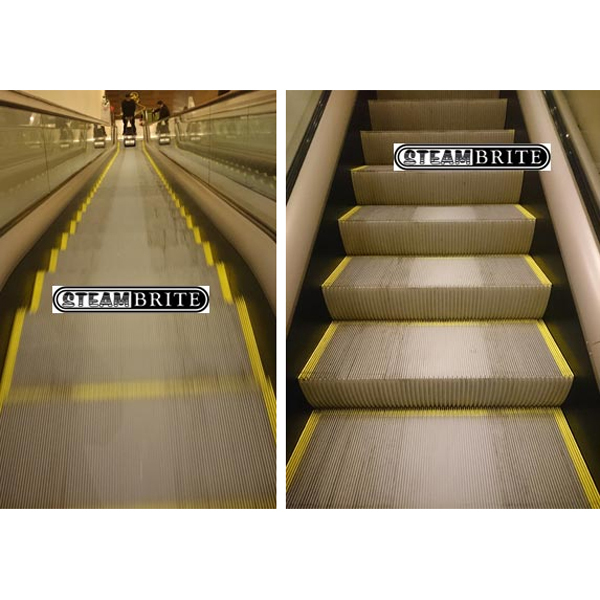 Steambrite's Cylindrical Scrubbers - -Clean Storm Escalator Cleaning Package 20180508  is . This product was added to our store on Tuesday 08 May, 2018. Steambrite will ship the -Clean Storm Escalator Cleaning Package 20180508  by either Fedex or Freight Quote, and are normally shipped within 1-10 working days. Please remember it takes 6-8 working days for you to receive your order after shipment, and ground shipping times are not guaranteed. Next day and two day service are available. Click here for our full shipping policy. Specifications subject to change without notice. Steambrite's Cylindrical Scrubbers - -Clean Storm Escalator Cleaning Package 20180508 .